Do you drink raw milk or purchase food directly from a farmer? Have you switched to butter or started cooking in lard? Are you reading labels more carefully these days? 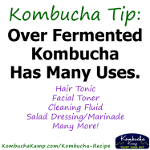 Or drinking kombucha instead of soft drinks? If the answer to any of these is yes, the chances are you are doing so because of the efforts of the Weston A. Price Foundation. Although the Foundation is small and obscure, it has had an enormous influence on recent food trends. Take raw milk: when the Foundation set up the realmilk.com website, we could find only 37 sources in the whole U.S. Today there are well over 2000 listed, and many more not listed there. Raw milk consumption has grown, and raw milk has become more available, largely thanks to the efforts of the Weston A. Price Foundation—not only by helping people find raw milk through realmilk.com, but also deciphering the science to show you the health benefits and superlative safety of Nature’s perfect food. Then there is the WAPF chapter leader system. We have over 500 volunteer local chapter leaders—and the main task of each chapter leader is to keep a list of where to find real food locally. Looking for a farm where you can purchase raw milk, pastured eggs or pastured meat? All you need to do is contact your local chapter leader. Since its inception, WAPF has promoted foods from small farms and local businesses in many ways. One of these is our Shopping Guide, updated yearly. As a gauge of the progress we’ve made, look at the number of companies we list today compared to 2003. The vast majority of these new products come to us from artisan producers, keeping your food dollar in the local community, not sending it off to multi-national corporations. By the way, our Shopping Guide is now available as an app—which you can use on your computer as well as an iphone. Apart from these very practical services, the Weston A. Price Foundation provides you with the latest and most accurate information on nutrition and health—whether you want to know about the benefits of butter or lacto-fermented foods, or the dangers of statin drugs and vaccinations, the Weston A. Price Foundation keeps you up to date with the latest findings. And that brings me to the point of this blog. If you are benefiting from our information, from the work of our local chapters, from our Shopping Guide, or from realmilk.com—won’t you return the favor by becoming a member of the Weston A. Price Foundation. You see, we do not receive any funding from the government, or from food corporations, or even from large foundations. Ninety percent of our funding comes from individuals through membership dues and contributions. We simply can’t provide all the above services without your support. Membership is the life blood of the Weston A. Price Foundation! Throughout March we are offering membership at a discount: $30 (instead of $40) for regular membership and $40 (instead of $50) for international membership. And if you are already a member, we will extend your membership one year for free if you will help sign up two new members. All the info is here. Members receive our lively and informative quarterly journal, all of our flyers and brochures and the new 2017 Shopping Guide. Members can participate in our new members-only Facebook page, and find restaurants through our 12-Spoons restaurant rating guide (coming soon). You will also receive periodic emails (we are careful not to overdo) about legislation in your particular state. In addition, members receive a discount to our annual conference. Best of all, you will become a member of the WAPF family. When my kids were little, they would sometimes say, “Mom, you are putting a guilt trip on us.” To which I would reply, “Great things have been accomplished through guilt!” So maybe my goal here is to make you feel a little guilty for not having joined sooner! The Weston A. Price Foundation is your choice for accurate information on nutrition and health. Check out our beautiful new website!